Compatible with original brands: Will fit Samsung French Door and Side by Side Refrigerator Models DA-97-08006A-B and HAF-CIN/EXP. Comparable Part Numbers: DA29-00020B, DA29-00020A, HAF-CIN, HAF-CIN-EXP, HAF-CINEXP, HAFCIN, 04609101000, 09101, 46-9101, 469101, DA-97-08006A, DA-97-08006A-B, DA-97-08006B, DA29-00019A, DA2900019A, DA2900020A, DA2900020B, DA97-08006A-B. The filter is not an original product. 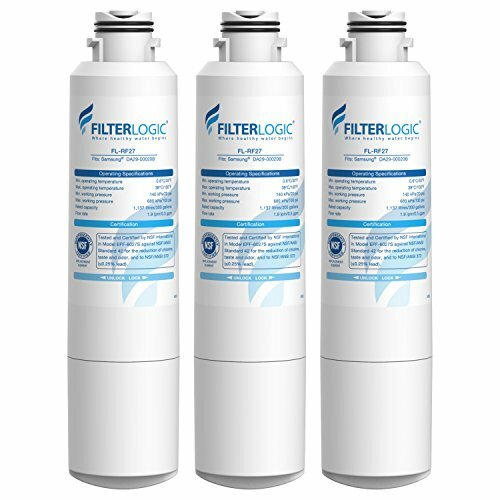 If you have any questions about this product by FilterLogic, contact us by completing and submitting the form below. If you are looking for a specif part number, please include it with your message.